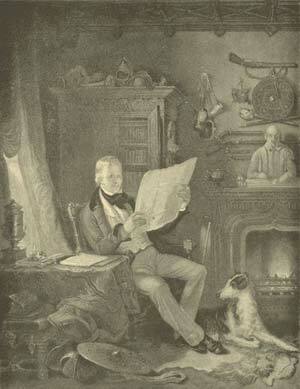 The life of an author who took no active part in public affairs, but sent forth from his own fireside those marvels of imagination which have afforded delight and instruction to millions, furnishes interest of a different kind from the biographies of those whose names are associated with great events. We look more to the man than to his age; we endeavor to trace the circumstances by which his mind was moulded and his tastes formed, and we feel anxious to discover the connection between his literary and his personal history and character. There have been few authors in whose career this connection was more strongly apparent than in Sir Walter Scott; his life is, to a great extent, identified with his writings, and this appears to be the source of that feeling of truth and reality which is forced upon us while perusing his fictions. He was born at Edinburgh, August 15, 1771. His father was one of that respectable class of attorneys called, in Scotland, writers to the signet, and was the original from whom his son subsequently drew the character of Mr. Saunders Fairford, in "Redgauntlet." His mother was a lady of taste and imagination. An accidental lameness and a delicate constitution procured for Walter a more than ordinary portion of maternal care, and the influence of his mother's instructions was strongly impressed on his character. In early childhood he was sent for change of air to the country seat of his maternal grandfather, where he first developed his extraordinary powers of memory by learning the traditionary legends of border heroism and chivalry, which used to be recited at the fireside on a winter's evening. His early taste for the romantic was a little checked when he returned to Edinburgh, in his eighth year, for his father was rather a strict adherent to forms, and looked upon poetry and fiction as very questionable indulgences. The discovery of a copy of Shakespeare, and an odd volume of Percy's "Relics," enabled him to resume his favorite pursuits, though the hours he devoted to them were stolen from sleep. He was sent at an early age to the high-school of Edinburgh, but was not particularly distinguished in the regular course of study. His companions, however, soon discovered his antiquarian tastes, and his passionate love for old tales of chivalry and old chronicles scarcely less romantic; he became noted, too, for reciting stories of his own invention, in which he introduced a superabundance of the marvels of ancient superstition, with a plentiful seasoning of knight-errantry. He even pursued his favorite subject into the continental languages, and by his own exertions enabled himself to peruse the works of Ariosto and Cervantes in their original form. After a brief residence at the university he was indented as an apprentice to his father in 1786. Though the daily routine of drudgery in an attorney's office must have been painful to a young man of ardent imagination, he did not neglect any of the tasks which his father imposed, and he thus formed habits of method, punctuality, and laborious industry, which were important elements of his future success. But in the midst of these duties he did not lose sight of the favorite objects of his study and meditation. He made frequent excursions into the lowland and highland districts in search of traditionary lore; his investigations led him to the cottage of the peasant as frequently as to the houses of the better class, and his frank manners secured him a favorable reception from all. In 1792 he changed his profession for that of an advocate, but did not obtain much practice at the Scottish bar. His first publication was a translation from the German; Buerger's wild romantic ballads captivated his youthful imagination, and his version of them proved that he entered deeply into the spirit of the original. Soon afterward he contributed some pieces to Lewis' "Tales of Wonder," which are almost the only fragments of that work which have escaped oblivion. At last, in 1802, he gave to the world the two first volumes of his "Border Minstrelsy," printed by his old schoolfellow, Ballantyne; its literary merits were enhanced by the beauty of its typographical execution, and its appearance made an epoch in Scottish literary history. The ballads of this collection had been very carefully edited, while the notes contained a mass of antiquarian information relative to border life, conveyed in a beautiful style, and enlivened with a higher interest than poetic fiction. This work at once obtained an extensive sale, and its popularity was increased by the appearance of the third volume, containing various imitations of the old ballad by Mr. Scott, in which the feelings and character of antiquity were faithfully preserved, while the language and expression were free from the roughness of obsolete forms. The copyright of the second edition was sold to the Messrs. Longman for #500, but the great extent of the sale made the bargain profitable. Sir Walter Scott at Abbotsford. Three years elapsed before he again took the field as an author; but the poem which he then produced, at once placed him among the great original writers of his country. "The Lay of the Last Minstrel" was a complete expansion of the old ballad into an epic form. "It seemed," says Prescott, "as if the author had transferred into his page the strong delineations of the Homeric pencil, the rude but generous gallantry of a primitive period, softened by the more airy and magical inventions of Italian romance, and conveyed in tones of melody such as had not been heard since the strains of Burns." Its popularity was unprecedented, and its success determined the course of his future life. Scott's position enabled him to encounter the hazards of literary life with comparative safety. He held two offices, that of Sheriff of Selkirk, and Clerk of the Court of Sessions, which yielded him a competent income. He received some accession to his fortune on his marriage, and the tastes of his lady prevented her from indulging in any of the extravagance of fashionable life. Domestic happiness and rural retirement were favorable to literary exertion. 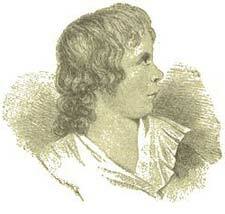 He soon produced a second poem, "Marmion," which many critics prefer to all his other poems. It was, however, rather harshly attacked in the Edinburgh Review on its first appearance, which the author felt keenly, as he had been himself a contributor to that journal. This was the origin of the Quarterly Review, which was established mainly in consequence of his exertions. About the same time he established a new Annual Register, and became a silent partner in the great printing establishment of the Ballantynes. This last step involved him in grievous embarrassments, but it stimulated him to exertions such as none but a man of his prodigious powers could attempt. His biographical, historical, and critical labors, united with his editorial toils, were of appalling magnitude, but in all his works he proved himself to be vigorous and effective. "Poetry," he says in one of his letters, "is a scourging crop, and ought not to be hastily repeated. Editing, therefore, may be considered as a green crop of turnips or peas, extremely useful to those whose circumstances do not admit of giving their farm a summer fallow." The "Lady of the Lake" was his next poem; it appeared in 1811, and soon outstripped all his former productions in fame and popularity. More than fifty thousand copies of it were sold, and the profits of the author exceeded two thousand guineas. It may be noticed as a curious proof of the effect it produced on the public mind, that the post-horse duty rose to an extraordinary degree in Scotland, from the eagerness of travellers to visit the localities described in the poem. He was now at the zenith of his fame. The sale of his next poem, "Rokeby," showed that his popularity had declined, and when this was followed by the comparative failure of the "Lord of the Isles," he resolved to abandon the field of poetry, and seek for fame in another form of composition. Ten years before this period he had commenced the novel of "Waverley," and thrown the manuscript aside; having accidentally discovered the unfinished romance amid the old lumber of a garret, he completed it for the press in 1814, and published it anonymously. Its appearance created a greater sensation and marks a more distinct epoch in literary history than that of his poetry. It was the great object of his ambition to become a land-owner and to hold a high rank, not among the literary characters, but the country gentlemen of Scotland, and this was one of the causes of his being anxious to keep the authorship of his novels a profound secret. The same ambition stimulated him to exertion. He produced in rapid succession "Guy Mannering," "The Antiquary," "Rob Roy," and the "Tales of my Landlord" in three series, and at the same time published several pieces in his own name to increase the mystification of the public. But his incognito was soon detected; long before he avowed his romances, the world generally had found out his secret; indeed, when he was created a baronet in 1820, it was universally understood that this honor was conferred on him as author of the Waverley Novels. It is not necessary to enumerate all the fictions that emanated from the brilliant imagination of the Northern Enchanter; the list would be too long, but we must not omit to notice the energy with which he labored. Even illness, that would have broken the spirits of most men, as it prostrated the physical energies of Scott, opposed no impediment to the progress of his compositions. When he could not write he could dictate; and in this way, amid the agonies of a racking disease, he composed "The Bride of Lammermoor," "The Legend of Montrose," and a great part of the most fascinating of his works, "Ivanhoe." Never, certainly, did mind exhibit so decisive a triumph over physical suffering. "Be assured," he remarked to Mr. Gillies, "that if pain could have prevented my application to literary work, not a page of 'Ivanhoe' would have been written. Now, if I had given way to mere feelings and ceased to work, it is a question whether the disorder would not have taken deeper root and become incurable." The crowds of visitors that flocked to his baronial mansion at Abbotsford, from all quarters, greatly added to the expenses which the hospitable owner had to meet; but the unbounded popularity of his novels appeared to him and to his publishers a never-failing source of funds; and the Messrs. Constable accepted his drafts, to the amount of many thousand pounds, in favor of works which were not only unwritten, but even unimagined. Unfortunately, Scott, in return, could not refuse to indorse the drafts of his publishers, and thus an amount of liabilities was incurred which would appear quite inexplicable, if experience had not shown that the dangerous facilities of accommodation bills lead men on to an extent that they never discover until the crash comes. In the great commercial crisis of 1825 Constables' house stopped payment; the assets proved to be very trifling in comparison with the debts, and Sir Walter Scott was found to be responsible to the startling amount of one hundred thousand pounds! His conduct on this occasion was truly noble; he put up his house and furniture in Edinburgh to auction, delivered over his personal effects--plate, books, furniture, etc.--to be held in trust for his creditors (the estate itself had been settled on his eldest son when he married), and bound himself to discharge annually a certain amount of the liabilities of the insolvent firm. He then, with his characteristic energy, set about the performance of his herculean task. He took cheap lodgings, abridged his usual enjoyments and recreations, and labored harder than ever. The death of his beloved lady increased the gloom which the change of circumstances produced, but though he sorrowed he did not relax his exertions. One of his first tasks was the "Life of Bonaparte," which he completed in the short space of thirteen months. For this he received from the publishers the sum of #14,000, and such was its great circulation that they had no reason to repent of their bargain. In the same year that this work appeared, he took an opportunity of publicly avowing his authorship of the Waverley Novels, declaring "that their merits, if they had any, and their faults were entirely imputable to himself." Sir Walter Scott's celebrity made everything that he produced acceptable to the public. He did not allow these favorable impressions to fade for want of exercise, and the list of the works, great and small, which he produced to satisfy his creditors, is an unexampled instance of successful labors. No one of these enterprises was so profitable as the republication of his novels in a uniform series, with his own notes and illustrations. It was not given to Sir Walter Scott to see the complete restoration of his former position; his exertions were too severe and pressed heavily on the springs of health, already deprived by age of their elasticity and vigor. In the short space of six years he had, by his sacrifices and exertions, discharged more than two-thirds of the debt for which he was responsible, and he had fair prospects of relieving himself from the entire sum. But in 1831 he was seized with a terrible attack of paralysis, to which his family had a constitutional tendency, and he was advised to try the effect of a more genial climate in Southern Europe. The British Government placed a ship at his disposal to convey him to Italy; and when he came to London, men of every class and party vied with each other in expressing sympathy for his sufferings and hopes for his recovery. In Italy he was received with the greatest enthusiasm, and under the influence of its sunny skies he seemed, for a while, to be recovering. But his strength was gone, his heart was in his own home at Abbotsford, and, almost an imbecile, he returned there. He died September 20, 1832. The following letter was written by him to his son Walter, in 1819, soon after the young man had entered the army. It illustrates at once his strong affections and his knowledge of the world. "... I shall be curious to know how you like your brother officers, and how you dispose of your time. The drills and riding-school will, of course, occupy much of your mornings for some time. I trust, however, you will keep in view drawing, languages, etc. It is astonishing how far even half an hour a day, regularly bestowed on one object, will carry a man in making himself master of it. The habit of dawdling away time is easily acquired, and so is that of putting every moment either to use or to amusement. "You will not be hasty in forming intimacies with any of your brother officers, until you observe which of them are most generally respected and likely to prove most creditable friends. It is seldom that the people who put themselves hastily forward to please are those most worthy of being known. At the same time you will take care to return all civility which is offered, with readiness and frankness. The Italians have a proverb, which I hope you have not forgot poor Pierrotti's lessons so far as not to comprehend--'Volto sciolto e pensieri stretti.' There is no occasion to let any one see what you exactly think of him; and it is the less prudent, as you will find reason, in all probability, to change your opinion more than once. "I shall be glad to hear of your being fitted with a good servant. Most of the Irish of that class are scapegraces--drink, steal, and lie like the devil. If you could pick up a canny Scot it would be well. Let me know about your mess. To drink hard is none of your habits, but even drinking what is called a certain quantity every day hurts the stomach, and by hereditary descent yours is delicate. I believe the poor Duke of Buccleuch laid the foundation of that disease which occasioned his premature death in the excesses of Villar's regiment, and I am sorry and ashamed to say, for your warning, that the habit of drinking wine, so much practised when I was a young man, occasioned, I am convinced, many of my cruel stomach complaints. You had better drink a bottle of wine on any particular occasion, than sit and soak and sipple at an English pint every day. "P.S.--Always mention what letters of mine you have received, and write to me whatever comes into your head. It is the privilege of great boys when distant, that they cannot tire papas by any length of detail upon any subject."